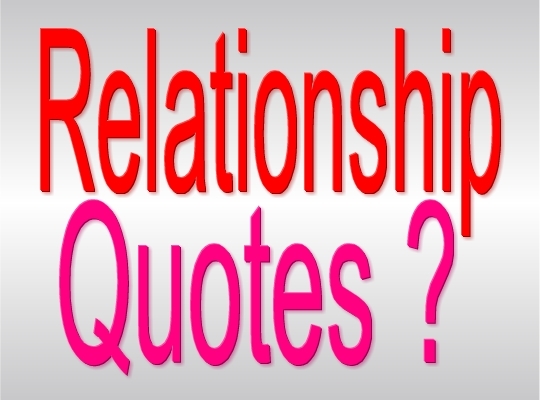 Do you Love using relationship quotes? Did you know there are good and bad ones? That is why you are here. As a student in the school of love (I bet that is who you are), there is no gainsay that you once must have used one or two relationship quotes. Is it wrong to use them? No! In fact, when you are used to some relationship quotes, they could bring about the bliss you wish in your relationship. Not all relationship quotes that glitter are romantically golden. Some relationship quotes are not worth your time. They are not worth being in your archive, because they hide more truth than they profess. P.S. These are my opinions, and my little verdicts. I would appreciate a feedback on the quotes. I would like you to share your thoughts on each of them. 1. Love Happens (Grows) Naturally. I once read that love happens automatically, but manual workings is flirting! That is not true. To me, Love doesn’t have an automatic transmission system. Love has no plug and play mechanism. Love is grown, it is nurtured. That love happens automatically is like saying automatic cars are cars and not the manual ones. Many relationship quotes and sayings alike tend to hide the value of relationship building. This one is one of those. Many of these are to be debunked. You have to press “Control + Delete” of them from your emotional database. And when I see some relationships these days, I see them bundled with many loopholes that have been masterminded through the assertions of some wrong school of thoughts. A lady could say, if you love me, you will do this and that! And now I ask, why would you expect such? Because love happens naturally? If love happens naturally, why would you remind your lover of what to do? If love really happens naturally, then everybody will either be in love today or be in hatred. Because, whatever is of nature affects all and sundry. 2. A guy that doesn’t tell lies to his girl doesn’t have respect for her feelings. I wish I have enough proof to back this up. Before she died, (She was my fiancée. She fell sick and died) It was a 3-year-old relationship and I can say boldly that I never told her a lie – not even once. I wouldn’t be away from home and tell her I was at home. I wouldn’t just do that. And anything I said, she just had to believe; believe because, I was tested, tried and trusted. Why? Because I knew enough – and I still know – that a single lie that is exposed is enough for your lover to never trust you forever. Hey!!! Don’t think I am proving Mr. Perfect here. No! I am not saying I have not done things worse than lies. Whatever I did back then, I would always tell her, no matter how bad it was. All I am saying is to be PLAIN to your lover. Telling the truth is one of the most difficult thing in life to do. Oh! You are glad I said that? Not difficult for me though. When you master it, it masters you in return. If you are a lady and you are reading this, please let me know if you like being lied to. Just comment “I love lies” and I will debunk my claim about this. No matter how worsened a relationship is, you can make it such that will be the talk of the town with O, P, E, N, N, E, S and S – with openness! This is one of those cliché phrases I loathe so much. I can’t really describe how this makes me feel. How does it make you feel too? In the bid to prove a fault, I have heard many people say this, and it’s only a proof that such do not want to grow up. Nobody is perfect, agreed. But, you shouldn’t make that a get out of jail ticket for yourself when you need to hide the fact that you have done wrong. Can we stop saying this? 4. Absence makes the heart grow fonder. Is it really true that you will like (or love) someone better if they are far away? If you do believe, I don’t. Someone once said, Absence is to love, what the wind is to a fire. When the wind blows little, it fans the fire aglow; but when it blows wild, it quenches the fire. Ideally, when the period of absence is short, it can help fuel the passion of love and makes one yearns for one’s lover. However, to me, too long distance will but weary the heart, draining the burning passion for companionship. Prolonged absence helps no relationship as prolonged summer helps no farmer. So far so good, the level of intimacy in a relationship is determined by the quality of communication in it. If you are jealous in a relationship, is it a confirmation of you being in love or that you are wrapped in costly insecurity? Doubtlessly, absence of trust and low self-esteem are the parents of jealousy. When you are so jealous about few people around your lover, it is of a truth that you are insecure. And the more you do it, the worse you should expect your affection for him or her to dwindle away. I remember when I asked my late fiancé out and there was this guy also who did. She told me about him, his care and gifts. Even if she wanted me to be more serious for the fact that I had a rival, I didn’t even increase my attention for her a bit. I acted normally. I knew my worth and I still do. You cannot jump into a well full of water and expect it to be well like, “It is well even in the well” professes. Even if you are in the tunnel of which everybody believes that there is always light at its end, just make sure you don’t take a walk in the night in it. Friend, you will be disappointed, especially when you would walk out of such tunnel in the middle of the night. Don’t be in an abusive relationship waiting for where it would really end. If you take a ball of coal on your hand it sure will get it burnt. If you are in a relationship that has no visible sign of it ending well, it is better you count the cost to know if it’s really worth your time and resources or you let go. 7. A Broken Relationship is better than a Broken Marriage. When I wrote the article A Broken Relationship is not better than a Broken Marriage, it generated much noise with more than enough controversies. But it takes those who understand what the post says that will undoubtedly agree to this. you’re right sir, in fact, I appreciate this because I have never like the quotes, my spirit has never agree with them… thank you!